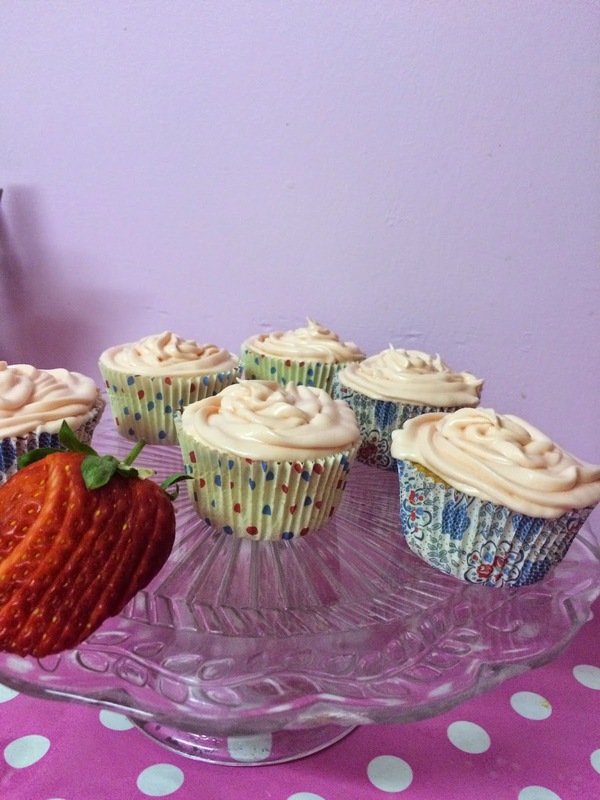 Today I made some cupcakes, they don't look that amazing but they tasted fantastic which is why I chose to share this recipe. It was just a basic vanilla sponge with a strawberry flavoured frosting. Step one - I preheated the oven to 190 degrees, i then lined my cupcake tin with the cases. You can use plain white ones or patterned completely up to you. Step two - I then mixed the sugar, butter, flour, baking powder and salt on a low speed using a electric whisk. Step three - I placed the egg in a jug and whisked it with a folk, then added the milk and vanilla essence. Step four - Pour about half of your liquid into the dry ingredents then mixed on a medium speed, when they are all combined i then added the second half of the mixture. Step five - Now spoon the mixture into your paper cases i used an ice cream scoop which was perfect for ensure i didn't over or under fill the cases. Best to fill them until half full. Step six - Place the tray into the oven for 18-20 minutes or until they have risen and springy to touch. When they are done place them on a wire rack until they cool. Step seven - when they are completely cool mix the butter icing sugar, flavouring and colouring until fully combined. Then pipe onto the cupcakes. If you decide to follow this recipe i would love it if you could sho me some feedback and see your pictures.